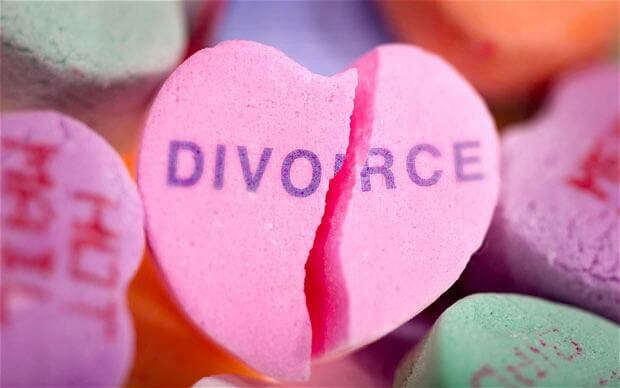 The month of February is often associated with romance and valentines, but ironically, it is also the most active month for divorce. The holidays are over and now we’re entering what some call the divorce season because divorce filings begin to spike in January, peaking in February and March. Why do more people take the leap to dissolve their marriages during this time of year? Perhaps this is because seeing other couples express their Valentines’ affection serves as a wake-up call that our hearts are no longer in it. Or perhaps the withdraw of holiday warmth from December leaves us feeling lonely and despondent in January, and we finally decide to take action in February. Experts speculate that unhappily married couples schedule their divorce filings around Valentine’s Day, as well as summer vacations, for a variety of reasons. There are a few explanations why people might time their marital dissolution this way. It might just be too difficult to announce a divorce around family-oriented Christmas time, especially if there are kids involved. Plus, January is a time for making resolutions, and some people resolve to make a fresh start in the new year when they are unhappy in their relationship. During the summer, couples may look at their vacation as an opportunity to give it one last shot, and what they were hoping would happen didn’t occur. For others, it could be that people don’t want to ruin a family getaway, or that vacations are so stressful they drive the already-dissatisfied to divorce. The more likely reason could be that people decide their differences are irreconcilable right after a big trip. If you have made up your mind, or if you think it is likely, there are some things you can do to prepare yourself financially. Always maintain a level of financial independence. Start saving money because divorce is expensive. Document your financial history and track everything including your income, your spouse’s income, your expenses, debts and assets. All of us at C.E. Borman & Associates know how tough wading through the divorce process can be. Feel free to contact our firm at any time if you have questions or need advice. We also invite you to share this blog post with anyone who might find the information useful. To provide clients with the best support and representation possible, C.E. Borman & Associates is growing. We would like to take this opportunity to introduce John Williams, the newest member of our legal team. John is an associate at the firm and brings with him outstanding professional and educational experience.